On July 20, 2018, about 1215 central daylight time, a high skid-equipped Bell 206B helicopter, N325CT, lost control after takeoff and impacted terrain near Todd Mission, Texas. The right seat private helicopter pilot and one passenger sustained minor injuries, and two passengers sustained no injury. 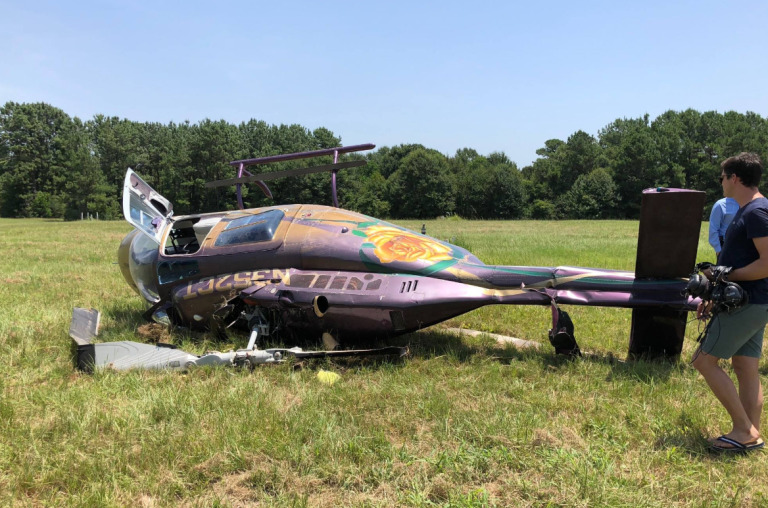 The helicopter sustained substantial damage. 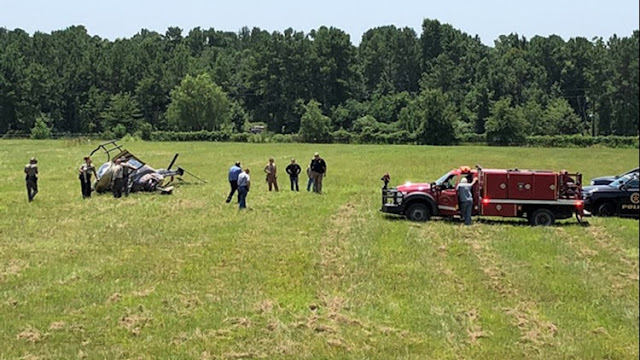 The helicopter was registered to and operated by the pilot under the provisions of Title 14 Code of Federal Regulations Part 91 as a visual flight rules personal sightseeing flight. Visual meteorological conditions prevailed at the time of the accident, and no flight plan was filed. The flight originated from the pilot's private helipad in Pinehurst, Texas, about 0900. 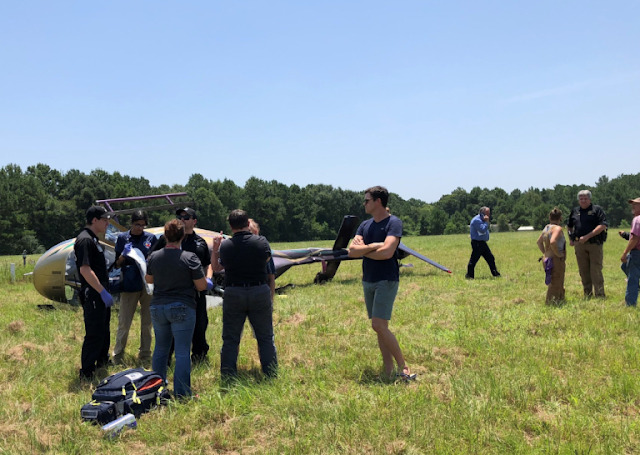 In a conversation with the National Transportation Safety Board investigator-in-charge on July 24, the pilot reported that the purpose of the local area flight was for sightseeing with a family member and friends. 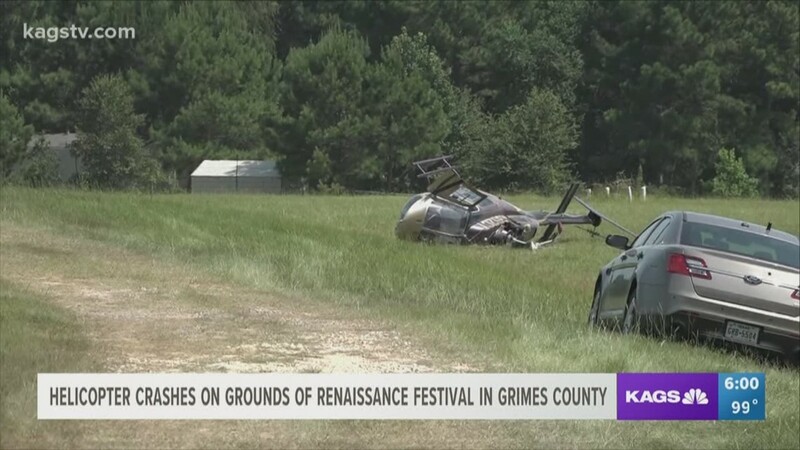 After flying in the local area and refueling, the pilot landed on a grass field to facilitate the passengers switching their seat positions in the helicopter. During the seat switching process, the pilot reduced the throttle to the flight idle position. After the passengers switched seats and secured their restraint systems, with one passenger stationed in the front left seat, and two passengers stationed in the cabin, the pilot increased the throttle to 100 percent and lifted off from the field. About 3 seconds after liftoff, and about 15 feet above ground level with about 5 knots of forward airspeed and heading about 270 degrees, the helicopter made 4 360-degree revolutions to the right. The pilot reported she applied full left pedal with no response from the helicopter. During the loss of control sequence, the pilot observed the torque gauge "jump" and she heard a "whining" noise emit from the engine. Prior to the helicopter impacting terrain, the pilot reduced the throttle to the flight idle position. 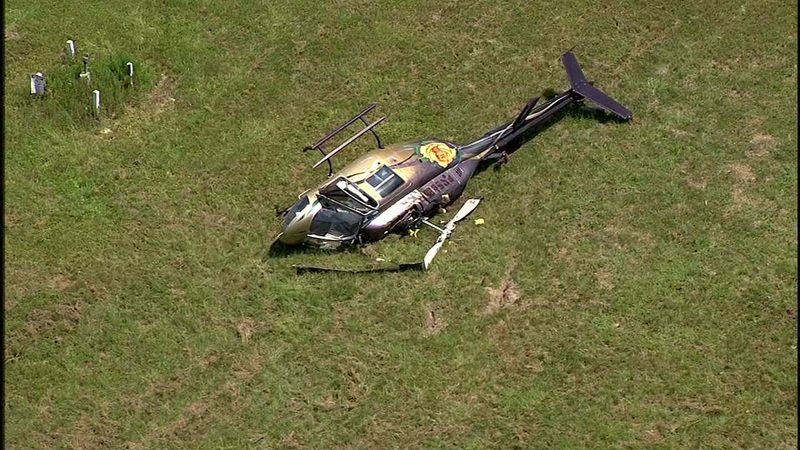 The left skid impacted the ground, the helicopter rolled to the left, and came to rest on the left side of the fuselage. The pilot executed an emergency shutdown and the occupants egressed from the helicopter without further incident. (courtesy of the Texas Renaissance Festival). After egressing from the helicopter, the occupants were located in an area with adequate cellular phone reception and contacted first responders for assistance. The helicopter was not equipped with an emergency locator transmitter, nor was it required to be. The helicopter sustained substantial damage to the main rotor system, the fuselage, the tailboom, and the tail rotor system. The pilot reported that there were no preexisting mechanical malfunctions or failures with the airframe and engine that would have precluded normal operation. The helicopter was recovered from the field and transported to a secure facility for a future examination of the airframe and engine. The 5-seat capacity helicopter, serial number 340, was built in 1969. The helicopter was powered by a 400 horsepower Rolls-Royce 250-C20 turboshaft engine, serial number CAE801330. GRIMES COUNTY, Tex. (KBTX) - A pilot and her granddaughter suffered minor injuries Friday afternoon after their helicopter crashed onto the grounds of the Texas Renaissance Festival in Grimes County. Two others on board were not injured. 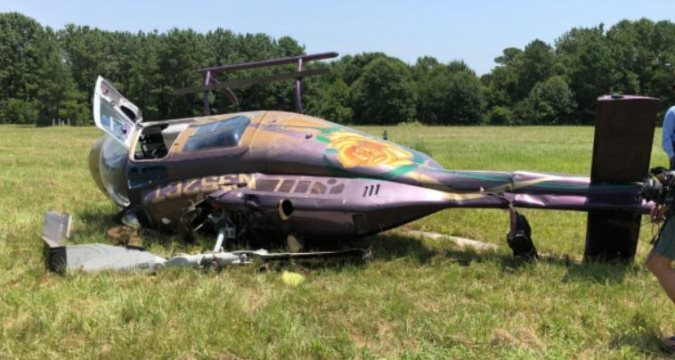 Deputies say the helicopter was attempting to take off from the property when a mechanical issue with a rotor forced it to fall back to the ground. Officials with the Federal Aviation Administration and National Transportation Safety Board are on the way to the scene to investigate the accident. The pilot, 73, is from Pinehurst, and her granddaughter, 17, is from Tomball. Both were taken to Houston Methodist Willowbrook Hospital. One of the uninjured passengers is from Florida, and the other is from Canada.